The internet can be an ugly place, especially for young people who identify as lesbian, gay, bisexual, trans or queer. Cyberbullying is difficult to combat, because the bullies are often anonymous. And toxic debates can fester on social media: the 2017 Stonewall school report found that “two in five LGBT young people are bullied online”. Then came Harry Brewis. The young YouTuber – also known by his handle, Hbomberguy – raised £265,000 for the UK charity Mermaids to support gender diverse young people, by streaming his 57-hour Donkey Kong 64 marathon online. Public figures including US congresswoman Alexandria Ocasio-Cortez and activist Chelsea Manning reportedly attended Brewis’ stream via online platform Twitch, which allows viewers to chat and cheer on their favourite gamers while they play. Aside from blowing his £3,000 funding goal out of the water, Brewis’ actions have shone a light on how young people are breaking new political ground on the internet – and especially in the male-dominated sphere of online gaming – by carving out space for the marginalised voices of LGBTQ young people. My own research has uncovered a huge diversity and abundance of social media and online forums, where LGBTQ young people are creating new civic and community spaces from the privacy of their bedrooms. There’s been very little investigation into these emerging forms of online activism, in part because researchers and journalists are fixated on mainstream social networking sites such as Facebook and Twitter, and are all too often directed by the data generated by these sites’ own analytics tool. In other words, they often assume that the most-clicked YouTube video or the most shared tweet is particularly meaningful to users. But if you talk to young people directly, a very different picture emerges. The LGBTQ teenagers I spoke to in my research explained how they explored issues around trans identities and queer sexualities through subcultural online community websites. These included Fur Affinity (a fan forum with an interest in animal fantasy writing and art), trans community subreddits on Reddit, Sherlock fan fiction and online comics. These platforms are not widely recognised as online activist spaces, as such. LGBTQ teenagers also made use of Facebook and YouTube, of course, but they were very aware of how the values, interests and opinions of straight, cis-gendered people prevail on these platforms, as in society at large. They used a range of strategies to negotiate this, including turning to online counterpublics – alternative public spheres where challenges to dominant views can be expressed, shaped and shared (Tumblr would be the place to look for queer and trans counterpublics). They also took a creative approach to overcoming the built-in constraints on sites such as Facebook – for example, the highly structured process of setting up and maintaining a user profile, which limits the way people can construct their online identity (for example, the rule that people must use their real name) – and creating their own content such as YouTube vlogs and humorous political memes, gifs and mashups. In these ways and more, young LGBTQ people are pushing the frontiers of what’s recognised as activism and creating new strategies to combat oppression. One fascinating example of this is the way new categories are emerging in online social media culture. Take, for example, the term “hater”. It’s used to describe those posting hyper critical or hurtful comments on Facebook posts, blogs or YouTube videos, typically involving homophobic, racist or sexist attacks or bullying. Labelling these people “haters” makes it possible to name them, talk about them and open up their behaviour to critical analysis. 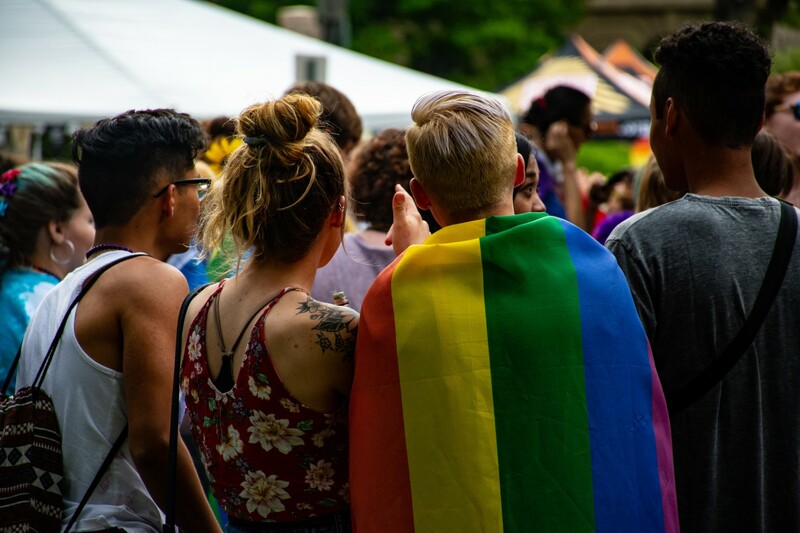 As young people increasingly talk back to “the haters”, this creates opportunities for those targeted by hate speech to form alliances and develop new strategies for dealing with homo and transphobia. Indeed, addressing haters is emerging and evolving as a whole genre of social media activity in itself. An example of this might be reading out haters’ comments and meeting them with your own experience, as teen vlogger Brendan Jordan does, using humour to call out the stupidity of the online hate. It’s important to recognise how young people negotiate – and sometimes subvert – the values and norms incorporated by online platforms, to explore issues around gender, sexuality and identities through activism and community formation. They are aware that the very DNA of the social media and digital technologies at our disposal are coded straight and cis – and this hidden fact has real-life consequences. Imagine being young and gender questioning, and googling “trans” to explore alternative gender expressions - the image that the internet will reflect back at you is not a bright or positive one. The Mermaids charity has been under attack lately, not only in the tabloid press but also online. So much so that the Big Lottery Fund announced it would review its decision to award a £500,000 grant, after Father Ted sitcom writer Graham Linehan rallied opposition to the charity on parenting website Mumsnet. But Brewis’ efforts offers significant funds and a much-needed counterbalance to transphobic rhetoric, and proves that online subcultures should not be underestimated as a space for social activism. This article is republished from The Conversation under a Creative Commons license. It's written by Olu Jenzen, Principal Lecturer in Media Studies at the University of Brighton. Read the original article here.